Munduk constitutes a typical Balinese village situated in the hills covered with jungles and rice fields. As it is located in north of Bali, it takes around 2 hours drive to reach this village from Bali Airport which is situated at 1,000 meters altitude. The road climbs up to hilly highlands where you can enjoy magnificent views of the valley and picturesque views of the twin lakes from the center of the island. Surely, you will come across some playful monkeys on your way to Munduk. Munduk owns a unique charm with the colonial architecture of its Old Dutch batiste backdrop of green mountains. The evenings in Munduk are cooler compared to the rest of the island. Munduk is still hindered from mass tourism. Unlike Kuta and Ubud, no memories or other street vendor shops are available here. You will be in direct contact with the local people and total immersion with the surrounding nature and culture, so lush and rich. Indeed, this little-known region is very ideal for trekking and hiking trips that will leave you with unforgettable memories. This tour package is designed exclusively for you who are willing to explore The nature of Munduk waterfalls in our lovely village. It will help you get away from the crowds of mass tourism. You will feel the Natural atmosphere of Munduk Village. 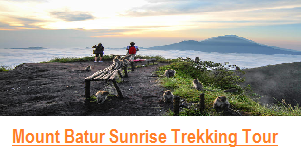 For sure you can’t find this trekking program in all trekking companies in Bali because we are the first and the only Bali Local Trekking company that offer this package for you. This Trip will lead you to the Real Bali rain-forest plantation (such as Coffee, Cacao, and Clove) and magnificent natural waterfalls. You will also have to yourself a cold breeze from the spring waterfall that will welcome you. 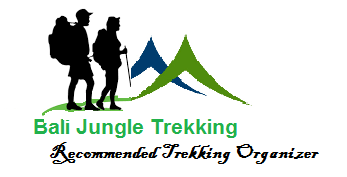 Before starting the trekking trip, firstly you have to do registration at our office. 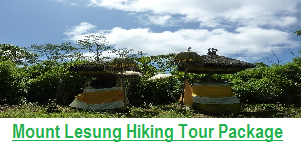 After that, we will take you to the Trekking Point by car which takes around 5 minutes. 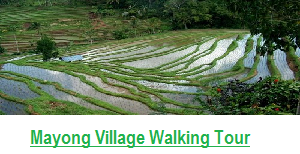 From the starting point we will go walking through Bali Plantation Forest. We will pass through Coffee, Cacao, Vanila, Durian, Jack Fruit Plantations. 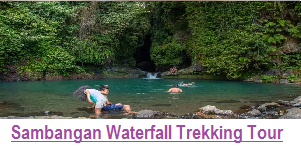 And then you will firstly see Coral Waterfall, secondly Munduk Waterfall, and finally you will explore the highest waterfall in Bali called Melanting Waterfall. There are more waterfalls along the valley that can be explored if you do wish to. Please take your swimming trunks if you’d like to swim in the cool and crystal clear mountain water. Our driver will be waiting to pick you up at the finishing point. 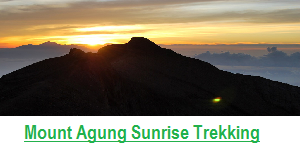 Price of the trek: USD$49/Person with minimum 2 Persons booking. 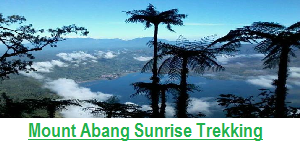 The price includes: Private Guide, Return Transfer with a Private air-conditioned car, Lunch at twin lake local restaurant, Entrance Fee to 3 waterfalls during hiking, Trekking Equipments, Local fresh Fruits for your Refreshment during the trek, and a visit to Ulun Danu temple. Picking Up at Your Hotel: 07.30 a.m. Arriving at the Trekking Point: 10.00 or 09. 30 a.m. The Trek Finishes: 01 .00 p.m.
Having Lunch at a Local Restaurant” TWIN LAKES VIEW RESTAURANT”: 01. 10 p.m. Visiting Ulun Danu Temple which is a Floating temple on the lake: 02.00 p.m. – Entrance Ticket is already included.